This is a sponsored post written by me on behalf of The Greek Gods Yogurt®. All opinions are 100% mine. 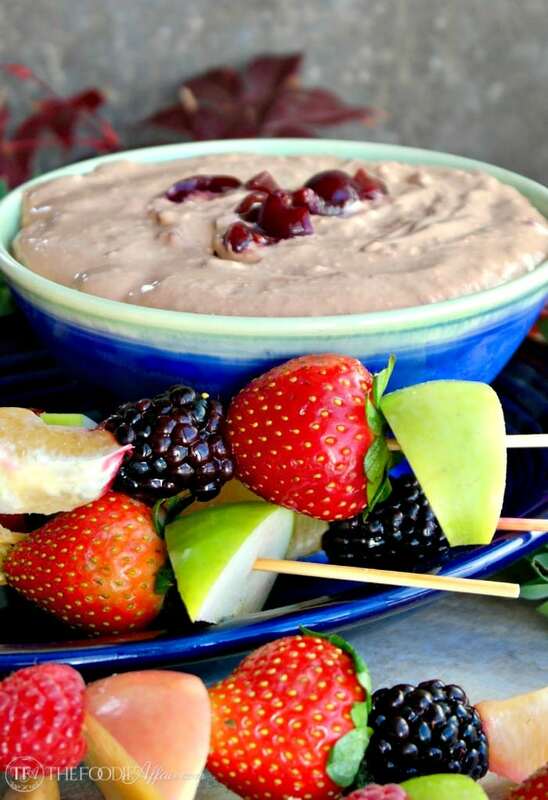 This simple chocolate cherry yogurt dip is made with two ingredients. Serve with fruit kabobs or sliced fruit for a delicious snack or healthy appetizer for your next gathering! 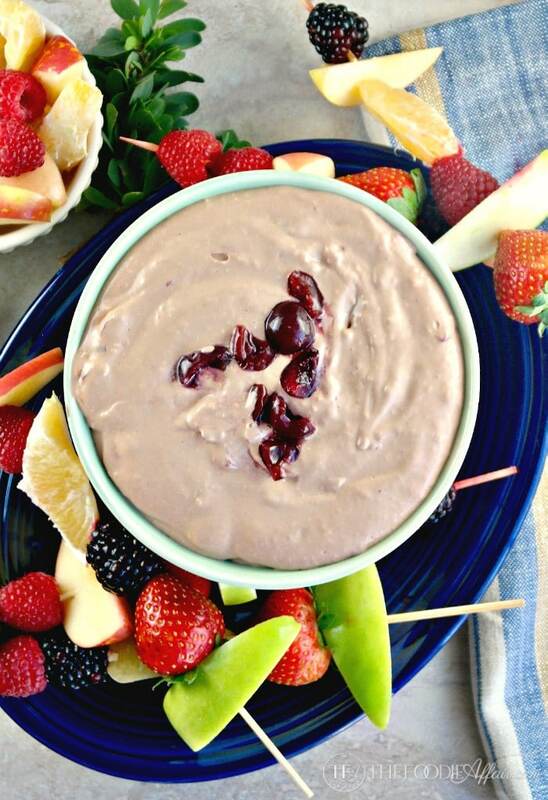 Can you believe that this chocolate cherry dip is made with two ingredients? Yes, it’s true! All you need is cream cheese and one of the newest chocolate flavored Greek-style yogurts from The Greek Gods. 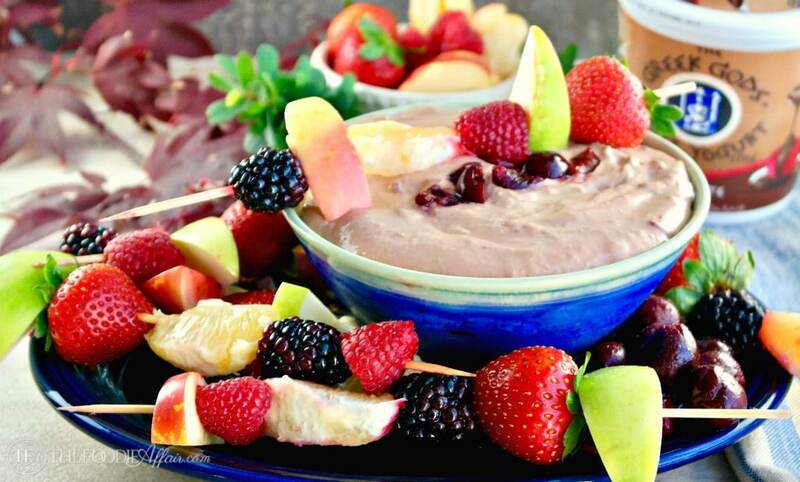 Mix the two and you’ll have a creamy dip that pairs perfectly with fruit kabobs. Did you see my last post where I shared this Chocolate Coconut Granola with Chocolate Mocha Greek Yogurt and introduced you to the new chocolate mocha flavored Greek-style yogurt? It’s rich and creamy with just a hint of coffee making it a favorite base for a smoothie bowl. 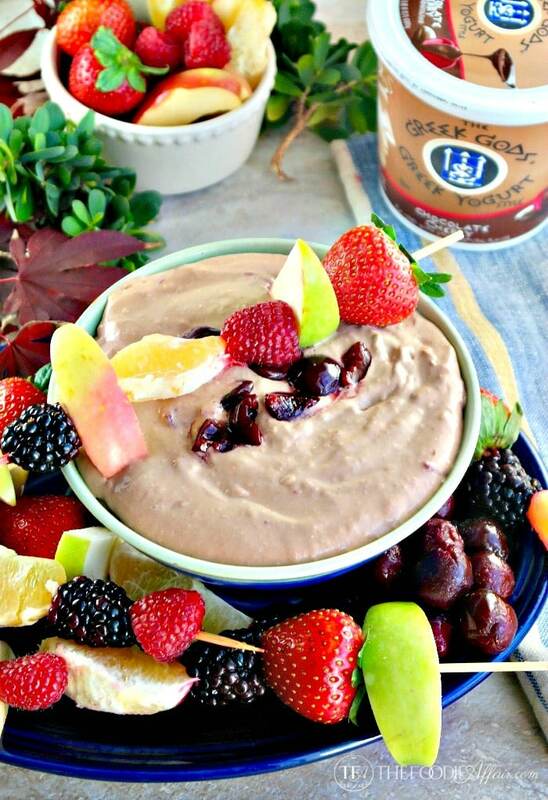 Today I’m using an all time favorite flavor combination of chocolate and cherry in a dip! There is a reason this duo is the darlings of sweet treats. They’re delicious together! If you can imagine a sweet cherry covered in chocolate then you’ll get a great idea what this dip is like! Not only is this dip delicious, but it’s also fast to prepare, which is just what you’ll need to have on hand during this busy holiday season. It’s such a joyous time of year, but it can be stressful too! Between family events, school activities, and hosting your own parties it doesn’t take long for the calendar to fill up. You’ll be glad to know that The Greek Gods Greek-Style Yogurts are gluten-free, which is important because some brands may contain gluten additives. This sure takes the worry out of serving foods to guests that might have dietary restrictions. Take the pressure off yourself and enjoy this simple dip at your next gathering! Serve with nutritious fruits and watch them disappear as each piece gets dunked into a pool of chocolate heaven! Be sure to print the coupon that is on The Greek Gods website! In a large bowl beat cream cheese until light and creamy. Add chocolate cherry Greek-style yogurt and mix until well blended. Put in the refrigerator. This sounds delicious! I’ve made dips from yogurt before and love them but never chocolate. It looks yummy and perfect for the holidays. The fruit is so pretty with it too. The chocolate in this dip is heavenly! I think you’ll enjoy this one, Julie! This looks really good! I have never made a yogurt dip, but this seems like a simple one to try. This will be great to bring to upcoming holiday parties. This sounds so good! I love the chocolate cherry flavor combo! Sounds so good with yogurt, my youngest would LOVE this! Wow this looks amazing! I wish I could dive right in! Yum! Thanks, Debi! The dip is creamy and delicious! A great way to get kids to eat their fruit! Love this idea! Pinning. Wishing you a super weekend. We all need to add more fruit to our diets. This seems like a great way. Just make it all organic for me! Thanks for sharing. This dip looks delicious and I love how easy it is! 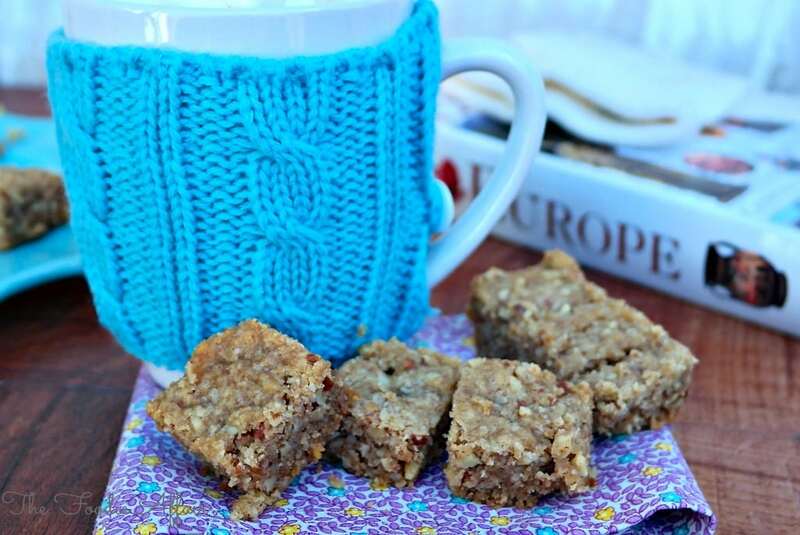 We really need to have several easy and tasty recipes on hand, especially during the holiday season! I love the color, flavors and presentation of the combination that you have created here. Incredible job, as always!!! What a great flavor combination for a dip! This really looks good. My kiddos all love fruit AND especially with a great dip 😉 Yogurt is their fav so I know this would be a hit in our house. Thanks! I hope your kids enjoy this flavorful combination of yogurt. I sure am enjoying it! Sounds pretty perfect to me! I’ve got to find this yogurt and give it a go for sure. The yogurt is decadent and delicious. Print the coupon for a little savings! I could eat this for breakfast. How yummy. I bet this is a huge party favorite!! I love Greek Gods yogurt! 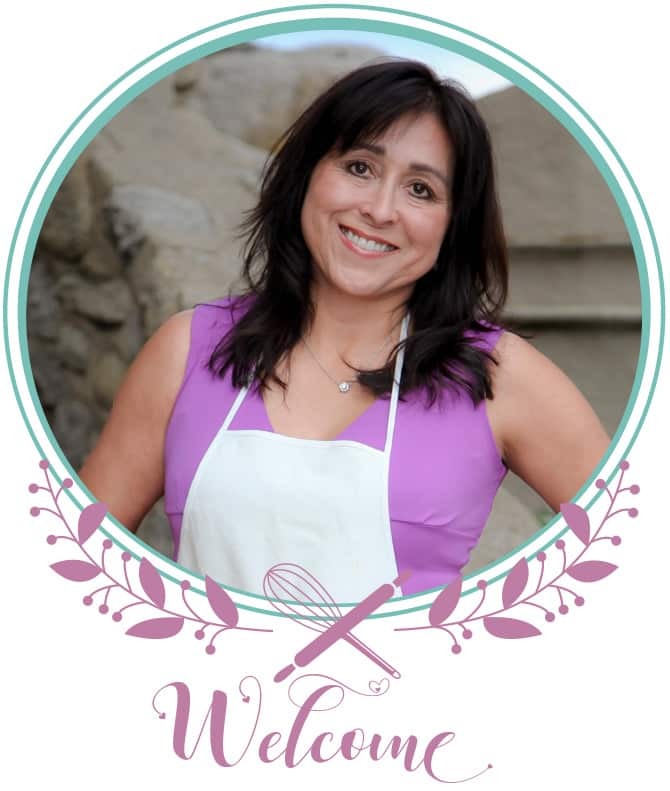 And, I’ve been trying to eat healthier desserts – and making them mostly fruits. So this is absolutely perfect!